So, you've got the brand-new and amazing HTC DROID DNA. What's the first thing you want to do with it when you get it home? Root it and mod it, of course! Well, that wish just got a whole lot easier with a new all-in-one toolkit to automate all of those tasks. We're hoping that this is a trend that continues, because the all-in-one toolkits for Google's Nexus devices make everything quite easy. Of course, the DROID DNA is not a Nexus device, so there are some limitations, like the fact that you cannot re-lock your bootloader once it is unlocked, so be sure that's what you want to do before you do it. But, as a bonus, the DROID DNA toolkit has a full GUI, unlike the command-line toolkits for Nexus devices. The toolkit will let you do useful stuff like rooting, flashing custom recovery, flashing a new kernel, or backing up your device. If you're a developer there are also nice options to register with HTCDev, and get or submit token IDs. As usual with toolkits, it is only available for Windows. 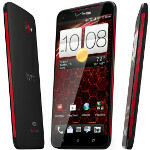 Of course, right now, unless you're a developer there may not be much to do other than root, because the HTC DROID DNA source code was just released today, so there are no custom ROMs just yet. This doesn't work anymore thanks to Verizon right? ...Pulling it from htcDev. Awesome, I was waiting in this to buy one! This tool is useless for DNA.